Authors note: The construction part (since it is complicated ) of this ongoing series of articles will be spread out over several postings. Be patient! Following parts will be posted shortly. 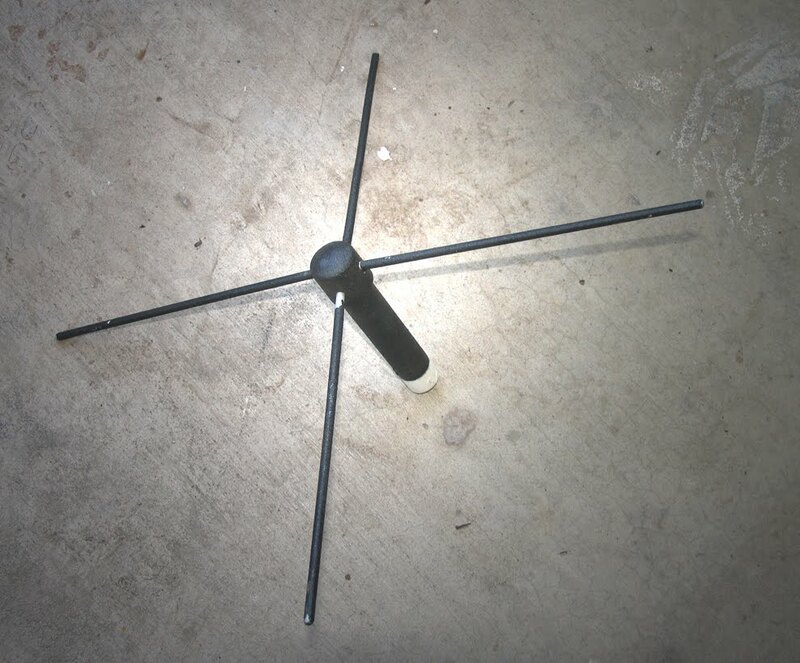 You may or may not be able to build your DIY SATCOM antenna for under twenty bucks. 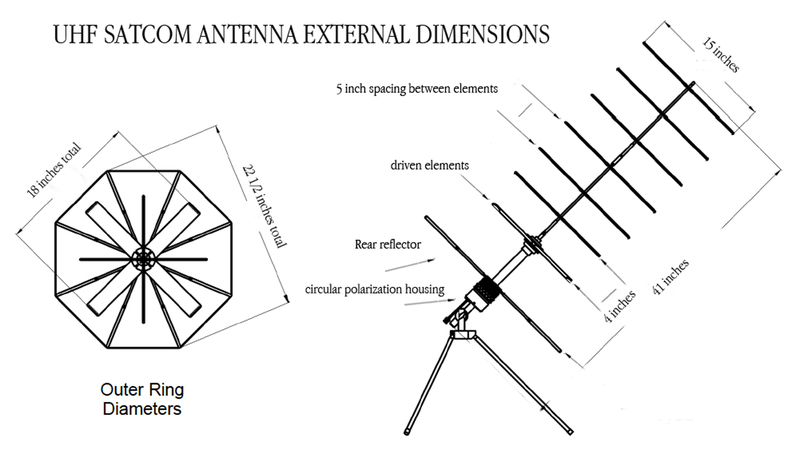 Yeah- I know that’s the title of this series of articles - but how expensive your antenna will be is conditional on the tools you have on hand and the antenna materials you may or may not have access to. Still, if this rig costs you fifty bucks, you’re already way ahead of the $5K cost for a new SATCOM antenna. Some of the parts I already had were aluminum antenna elements (rods) salvaged from on old two-meter Ham antenna, coax and various RF connectors, not to mention a sturdy tripod (used and bought originally for $10 on Ebay) also some hollow antenna tubes from a broken Radio Shack Discone antenna. One could easily use aluminum metal (welding) rods also available at Home Depot. Buy them along with the various sizes of PVC pipe used for the main antenna structure and most everything else. 12 feet of RG-6 coax, plus four more F-connectors (Note: The Home Depot (crimp) ones are better than the Radio Shack. 8 short (half-inch long) wingnuts & corresponding bolts (doesn’t matter what size) these will be used to hold the main antenna elements together. Assorted screws and nuts and five feet of solid copper (insulated) wire. I used black spray truck bed-liner paint to give it a cool heavy-duty military-textured look. Handsaw for cutting PVC pipe. We will start with the “element director boom” since it’s the easiest part to build. This boom will hold eight x-crossed (parallel) metal elements – each 15 inches long and spaced five inches apart with the last element spaced 4 inches from the flat receiving elements. First cut a length of ½ inch PVC pipe to 32 inches. Decide which end will point toward the satellites and measure & cut (from the end every 4 1/4 inches) until you have seven pieces of pipe. Next re-connect the sections with six 1/2inch pipe connectors. Don’t glue these if you want your antenna to be portable. On the sky-end you’ll mount a ½ inch PVC cap and on the far end you’ll mount a 1/2inch to 1 inch PVC adaptor pipe. From the end (with PVC connectors installed) measure in five inches increments and mark the spot- most likely in the middle of the connector. Element spacing isn’t very critical at this point so don’t sweat the details. At each increment you will drill a hole through the connector and ¼ inch behind it for the corresponding cross element. The size hole you drill will be dependent on what you are using for metal antenna elements. Just make sure they fit snugly. I learned it is better to be to small then too big. You can always make the drill hole bigger, if you need to. See the photo if you are confused. NOTE: A drill press will insure your holes are perpendicular to each other in a perfect cross shape. Each metal element (rod) should be cut to 15 inches and inserted into each hole with ¼ inch space between the two crossed elements. 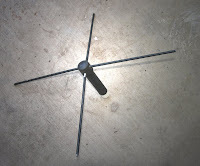 Once all the rods are inserted – and made parallel you can drill and add small self-tapping set-screws to hold them in place – or glue them with PVC cement if you don’t plan on making your antenna come apart for portability. 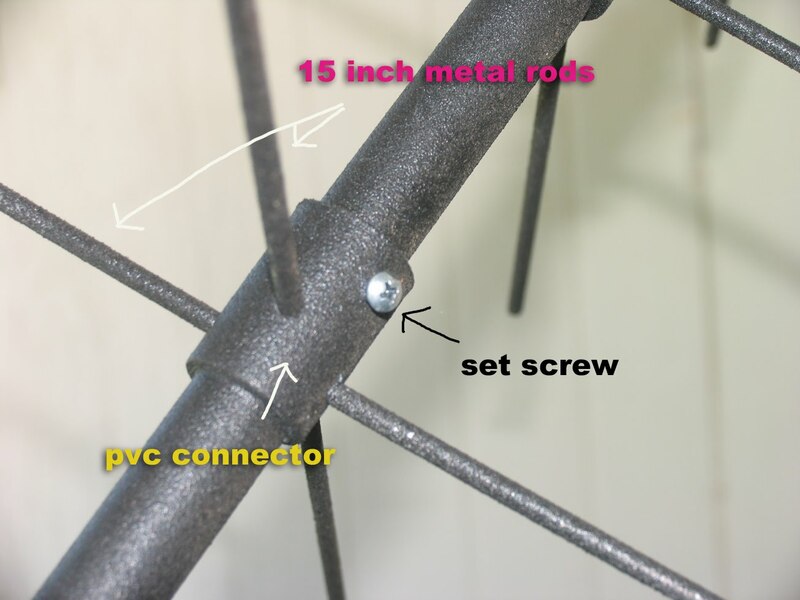 Each (crossed) element can be secured to each other (Inside the PVC pipe) with a nylon cable tie. Cut off the long (loose) end of the cable tie. Very good stuff. 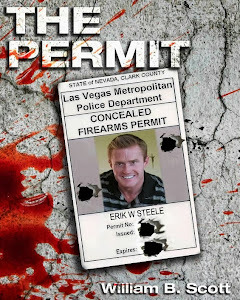 Kinda wish the follow-ups came a little bit quicker though. For $20 great idea but to release the details over 20 years kinda makes it pointless. Sorry about the delays - work - a family emergency and a lingering illness has kept me from getting back to the article, Look for it soon after the New Year. 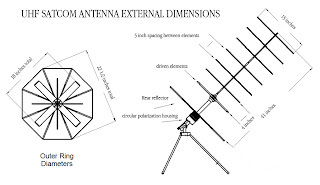 Not to jump the gun or anything here, but it looks as though in your pics of the Antenna youve made, the "Circular Polarization Housing" seems to be a good 2-3 feet long, and immediately after the 1/2" / 3" bushing connecting the 2 assemblies, is where the chopped up yardsticks go -What are you using to affix them to the this assembly? Does this need to be aligned in any specific relation to the element director, or the web on the back? 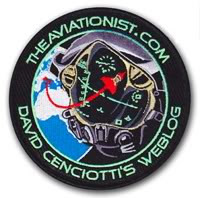 Im assuming the web on the back is all still just welding rod? It looks as though these rods are wider -20"ish? Are they all electrically common? On this web, Im assuming the material connecing the the rods together in the web is the solid conductor wire? Is it supposed to be electrically common with the rods? If so, should it be stripped ? Will 10ga suffice or should another size be used? On the inside of the tube Im assuming is where the RG6 goes, what does it need to connect to & what is the best way to connect it? With the element director, it doesnt seem as though any of these rods are electrically connected to anything (at least as of yet), is there any reason some clever machining couldent be used to make these elements foldable for transport purposes? Is this thread ever going to be completed? Steve, I tried to use the 4 1/2 " length on the 1/2" boom pieces. They need to be very close to 5" in length in order to meet the 5" spacing requirement for the director elements. Using 4 1/2 " will not provide the rigidity needed for overall boom integrity. Using the 5" spacing between elements, makes the overall boom requirement of 32" difficult to meet. Also some of your pre construction photos show 6 directors and the actual boom shows seven. Waiting for more info on matching section. Great plans. Would sure love to se the rest for the reflector and driven elements with the CP cabling/phasing line info. Steve, I too have been waiting for the conclusion to your sat antenna construction article. Please finish the article and make a LOT of us very happy!! We are eagerly waiting to be able to finish our antenna. Please, Please, Please Steve can we have the conclusion to this design? My SDR is screaming out at me to make one for it. Is there not a 4-2? Love the work...want to build this-but I need the completed plans! Love this idea, want to build one. Was this tutorial ever completed? Just started with the sdr systems....love at first sight. Need to know which is the best overall full spectrum antenna. Have nothing but free time and I learn very fast. Any suggestions are appreciated. 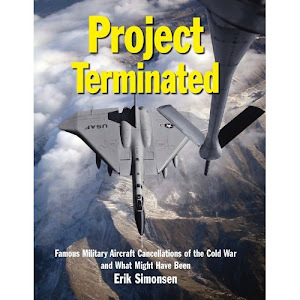 F-35 program cut by ten planes.